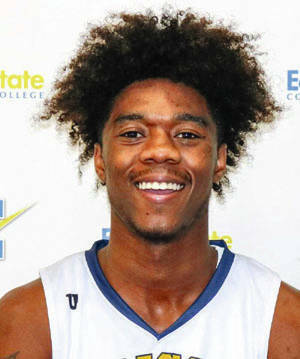 CLEVELAND —- The Edison State men’s and women’s basketball teams split games with Cuyahoga Community College Saturday. In an OCCAC battle of two teams ranked in the top 20 in NJCAA D-II, the game went right to the wire before Cuyahoga hit a 3-pointer to win 59-56. ESCC led 33-29 at halftime before losing in heartbreaking fashion. Cuyahoga improved to 16-4 overall and 7-0 in the OCCAC, while ESCC dropped to 15-4 overall and 4-3 in the OCCAC. Lacey Watson led ESCC with 18 points, while Lamine Komara scored 11 and Jaedyn Carter added 10. The Edison State women cruised to a 72-44 win. The Lady Chargers led 22-7, 40-21 and 52-41 at the quarter breaks. ESCC improved 15-3 overall and 5-2 in the OCCAC, while Cuyahoga dropped to 8-10 overall and 2-4 in the OCCAC. 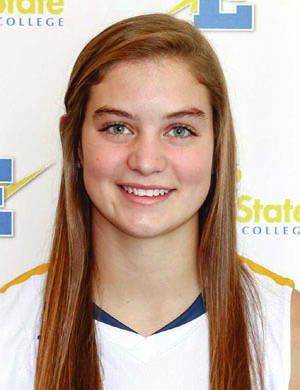 Clair Schmitmeyer had 21 points, 11 rebounds and three assists. Sara Pothast added 14 points and three steals, while Kailani Broyles had nine points and three steals. Kennedie Reese had seven points and three steals, while Rebekah New had six points and six rebounds. Brogan McIver scored six points and Kaylesha Broyles dished out four assists. ESCC was 29 of 63 from the floor for 46 percent, including one of five from 3-point range for 20 percent. The Chargers made 13 of 20 free throws for 65 percent. Cuyahoga was 15 of 62 from the floor for 24 percent, including one of 17 from long range for six percent. The Challengers made 13 of 27 free throws for 48 percent. Edison won the battle of the boards 42-27, but had 22 turnovers to Cuyahoga’s 13.